Welcome to 'Episode 46, Peter Adamson and the History of Women in Philosophy (Part II)', where we'll be engaging in some further analysis, discussion and getting at 'the man behind the podcast'. Peter Adamson is Professor of Late Ancient and Arabic philosophy at the Ludwig Maximilian University of Munich, and the host of the History of Philosophy without any gaps podcast. Peter’s main publications focus on Classical Philosophy, Philosophy in the Hellenistic and Roman Worlds, and Philosophy in the Islamic World, but the range of Peter’s expertise is phenomenal. The depth and breadth of his podcast History of Philosophy without any gaps is simply unrivalled, and the success of Peter’s projects has led him to publish a range of books in the aforementioned areas. Visit our Patreon page to show your support and get early access to episodes! Part I. The History of Women in Philosophy. Part II. Further Analysis, Discussion and 'The Man Behind the Podcast'. 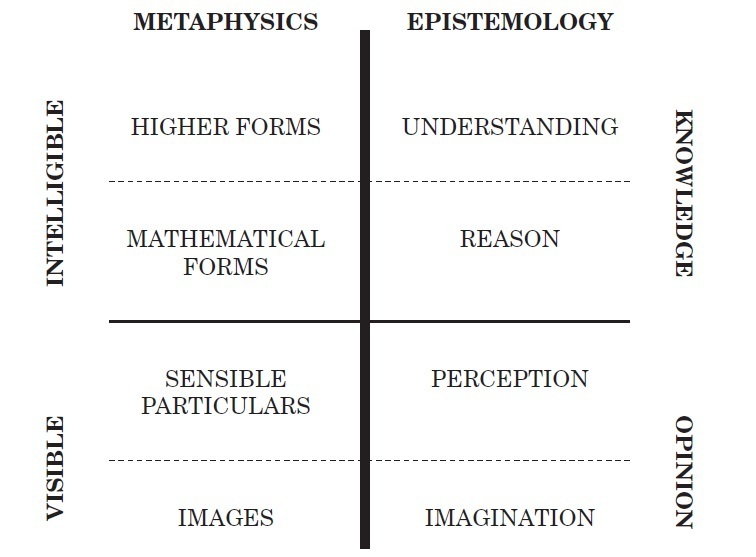 The History of Philosophy without any gaps. Peter Adamson - Amazon Books. History of Philosophy without any gaps: 140 - By All Means Necessary: Avicenna on God. Welcome to 'Episode 46, Peter Adamson and the History of Women in Philosophy (Part I)', where we'll be talking to Peter Adamson about 'philosophy', his podcast The History of Philosophy without any gaps and the history of women in philosophy. So, in Part I, we’ll be speaking to Peter Adamson about the history of women in philosophy, and in Part II, we’ll be engaging in some further analysis and discussion, asking some listener questions, and getting at ‘the man behind the podcast’. Welcome to Episode 28 (Part IV) on Aristotle's Nicomachean Ethics. The Nicomachean Ethics is Aristotle’s (384 – 322 BC) best-known work on ethics. The work consists of ten books and is understood to be based on Aristotle’s lecture notes. These notes were never intended for publication. Sometimes his notes are merely cues to talk more generally about a subject, other times they are more representative of what Aristotle would have actually said to his students. The Nicomachean Ethics is amongst the most discussed texts in history and philosophers continue to debate its contents and intended purposes today. One cannot deny, however, that Aristotle’s Nicomachean Ethics is concerned with key political and ethical questions – Questions like, How can we do what is best for citizens? and What is the good life and how do we achieve it? This week in Part IV, we'll be engaging in some further analysis and discussion. Share your thoughts and feedback @thepanpsycast. Welcome to Episode 28 (Part III) on Aristotle's Nicomachean Ethics. This week in Part III, we'll be applying virtue ethics and looking at Book X of the Nicomachean Ethics. Welcome to Episode 28 (Part II) on Aristotle's Nicomachean Ethics. This week in Part II, we'll be looking at what Aristotle meant by 'virtue'. Welcome to Episode 28 (Part I) on Aristotle's Nicomachean Ethics. This week in Part I, we'll be looking at Aristotle’s approach and fundamental arguments in the Nicomachean Ethics. Drunken Philosophy and Andrew's upcoming episode. Welcome to Episode 20 (Part II of II) on Plato's Political Philosophy. This episode benchmarks the beginning of our mini-series on political philosophy. Plato provides a strong critique of democracy through his formulation of a utopian city-state. By attempting to find justice in the city, Plato prompts us to question whether or not democracy can promote the common good. In this episode we'll be asking questions like; What is justice? Is democracy worthless? and What can we learn from Plato today? This week in Part II, we'll be applying Plato's political philosophy to the contemporary world, as well as engaging in some further analysis and discussion. As always, you can find the main texts as well as links to additional content at the bottom of the page. Please help support the show by subscribing on iTunes, Android or tunein. Thank you! Any thoughts? Please tweet us @thepanpsycast or email us at jack@thepanpsychist.com. Note: In this episode, on a couple of occasions, Jack mistakenly mixes up the names Gorgias and Glaucon. Although this has no philosophical importance, heckling is nevertheless encouraged. Welcome to Episode 20 (Part I of II) on Plato's Political Philosophy. This week in Part I, we'll be talking about the Socratic Dialogues in Gorgias and The Republic, as well as looking at Plato's utopian city state in The Republic. Welcome to Episode 2 of the Panpsycast, Aristotle's Basic Philosophies. The voices in this episode are owned by Jack Symes, Andrew Horton and Ollie Marley. This episode fulfils the function of tackling Aristotle's basic philosophies. Special thanks to the prime mover for your help in the production of this recording. Thank you to all of our wonderful community for your support so far. Please get in touch with us via twitter! The file size is large, please be patient whilst the podcast buffers/downloads/fulfils its telos. The School of Athens, Raphael. What you need to know for the exam. Welcome to Episode 1 of The Panpsycast, Plato's Cave. The voices in this episode are owned by Jack Symes, Andrew Horton and Ollie Marley. Please find the text and illustrations we will be discussing at the bottom of the page. This episode has been rerecorded. The original now exists in the realm of the forms. Just kidding, it was terrible. Enjoy the new recording. The file size is large, please be patient whilst the podcast buffers/downloads/escapes the cave. Allegory of the cave text. 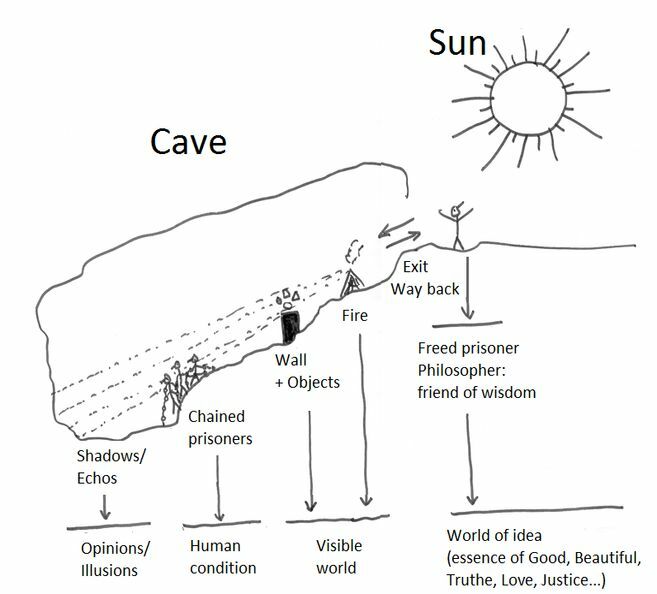 Allegory of the cave illustration. The analogy of the divided line illustration. The analogy of the sun illustration. Community responses to Gorgias quote.